Somebody extra special is on the way! A boy is on the way! Get the word out for the boy baby shower with blue whales, baby blue footprints, or another fun themed design. It's a girl! Help put the special party right over the top with girl baby shower designs ranging from pretty in pink to sweet florals. It's a surprise! 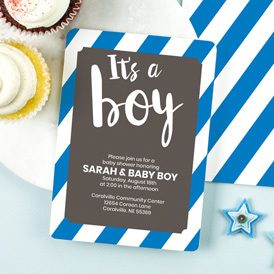 Shop a collection of baby shower invite design themes that work perfectly for sweet little boys and girls alike. Quick and Easy and Cute Baby Shower Invites! After being very pleased with my daughters Bridal Shower and Wedding invites, we decided to order her Baby Shower invites thru you, also!!! The texture of the paper is very nice and heavy and the colors are just great, as well as the printed designs. Our guests were impressed with the look of the invites...you do a wonderful job!!! It's time to celebrate the baby and parents-to-be! 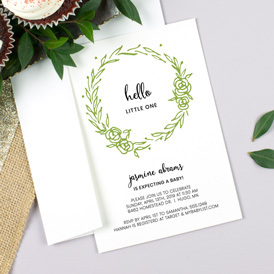 Give the expectant parents' baby shower a stylish start using personalized Baby Shower Invites. Fun and unique, Baby Shower Invitations are the perfect way to invite guests to a fabulous celebration that perfectly complements the guest(s) of honor. 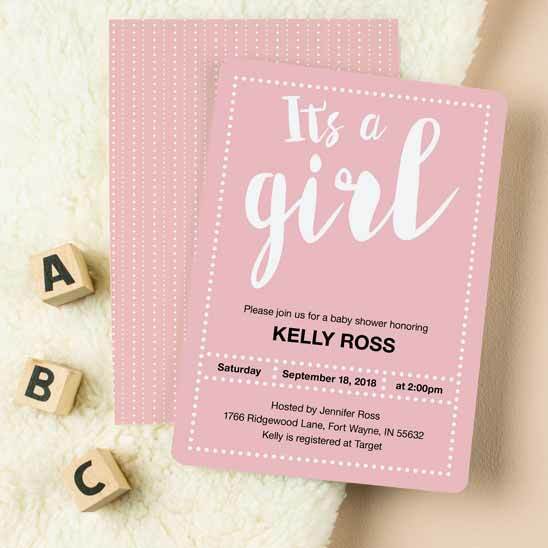 Whether you are looking for modern boy baby shower invites or pink girl baby shower invitations, you are guaranteed to find a design as perfect as the big celebration. 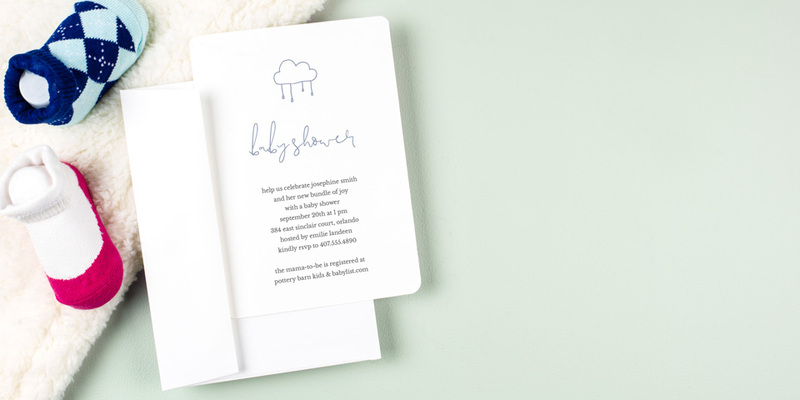 From cute baby animals to sophisticated patterns, our invite designs help set the tone for a modern, traditional or unique baby shower.